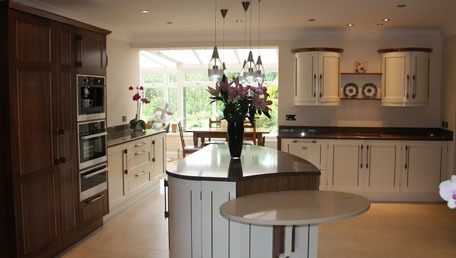 Melin-y-Derw - Providing you the satisfaction you deserve from kitchens, furniture and more. 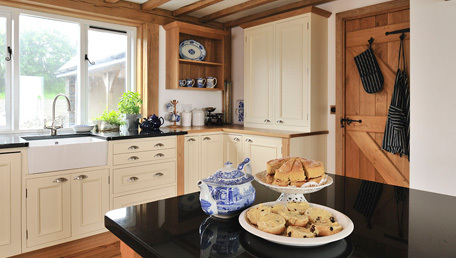 Established in 1975 as Makepeace Cabinetmaking, and rebranded in 2012 to Melin-y-Derw, you can set your mind at ease knowing your future bedroom, bathroom, kitchen or furniture is in the hands of time served expert craftsmen. Your individual tastes, desires and needs will be catered for in your commission, which will be unique to you and you alone. Our works are designed and crafted to result in high class, quality fitted and freestanding furniture for every room in the home or office. We love our furniture, and pride ourselves in the workmanship that goes into it, but our clients are what we value the most, as we believe in nothing less than 100% satisfaction for each client who has commissioned a piece. Our furniture is very exclusive and in great demand, we can only produce a limited quantity of handmade furniture every year. This is why we make sure it is a consistent high quality.